On Feb. 7, 2019, there was a bit of a shake-up in the University of Hawai`i at Hilo Physics and Astronomy Department when instructor Dr. Catherine Ishida declared that she was unable to continue teaching Physics 152 for the spring semester. Handing off the course outline and materials made for the class to the chair of the department, Dr. Marianne Takamiya, she bid her farewell to the students, and for the remainder of the semester, Ishida will be teaching Astronomy 110L, a general lab, as well as Physics 272. When attempting to reach out to Dr. Ishida, I was unable to discuss with her the situation. When asked if she needed this class to graduate on time, the student responded that she, as well as many other seniors graduating this year, “absolutely” needed the course in order to complete their degree. “We don’t have the luxury to drop the class and take it later, so we are just stuck with whatever they can do for the remainder of the semester,” the student continued. 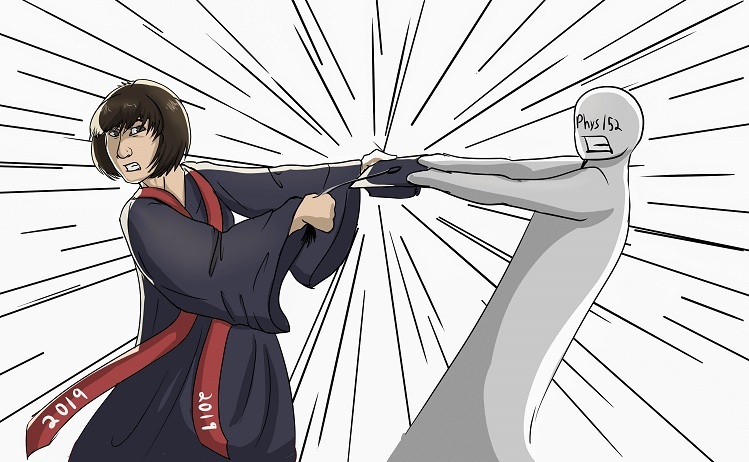 “When Takamiya came into the class, she told us all that the Physics and Astronomy Department was going to take care of us.” The student also claimed that Ishida told them that although she wasn’t going to be teaching the class any longer, she would be there to assist them to her best capabilities if anyone needed help. As the current instructor of the course, Takamiya was able to shed some light on the situation. She said that the issue about designating which faculty member would teach what course started back in October of last year after the department began accepting and conducting interviews to replace the now-retired Dr. John Hamilton. “They decided to postpone the hiring until December, a last-minute decision that I feel we shouldn’t continue to do in the future,” said Takamiya.